Medicare Supplement plans in North Carolina can help seniors and disabled residents on Medicare pay expenses not covered by Original Medicare. If you are already enrolled in or plan to enroll in, Medicare Part A and Part B, consider adding a Medicare Supplement Plan in North Carolina. These plans are also known as Medigap plans. There are 10 approved Medicare Supplement plans in North Carolina, labeled plans A through D, F, G and K through N. Each plan pays specific out-of-pocket expenses, such as co-payments, deductibles, excess charges and foreign emergency health expenses. Medicare Supplement plans do not cover prescription medicines. Instead, you must enroll in Medicare Part D, a separate policy that covers prescriptions. Medicare Part A coinsurance for hospitalization. The Part A hospice care co-payments or coinsurance. However, each plan covers different amounts of deductibles, excess charges and coinsurance. Some Medicare Supplement plans do not include coinsurance for stays in skilled nursing homes, and some do not include foreign travel emergency care. It is essential to review the benefits provided under each plan and confirm that you select the one most appropriate for your situation. A given Medicare Supplement plan must provide the same benefits regardless of what company underwrites the policy. However, companies can set their rates. If you are considering enrolling in a Medigap plan, it pays to ask for quotes and compare rates from several companies. 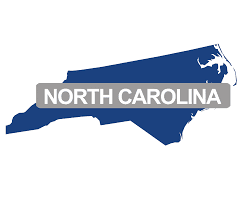 Approximately 15 percent of the population of North Carolina is over 65. This figure has increased roughly 2 percent each year since 2011. Projections suggest that more than 20 percent of the people in North Carolina will be over 65 by the year 2035. The average retirement age in NC in 2016 was 62. In 2014, the average amount spent per beneficiary on Medicare in North Carolina was $10,260. The best time to buy Medicare Supplement plan is during the six-month open enrollment period that starts surrounding your 65th birthday month or your enrollment in Medicare Part B. During the Medigap Open Enrollment Period; you can purchase any of the 10 Medicare Supplement plans in North Carolina. Insurance companies cannot charge extra for pre-existing conditions if you enroll during this time. However, if you want to purchase a plan after your Medigap Open Enrollment Period ends, insurance companies can charge more, deny coverage or require you to meet underwriting requirements. Were enrolled in Medicare Part C, and your plan stops providing coverage or you move out of the coverage area. Have Original Medicare and are enrolled in an employer health insurance plan that is ending. Your existing Medicare Supplement plan stops providing coverage or has not followed the rules. Joined a Medicare Advantage plan when you turned 65 and decided to switch coverage to a Medigap plan within 12 months. Switched from a Medigap plan to an Advantage plan and would like to return to the Medigap plan within a year. If you meet the guidelines for guaranteed issue rights, insurance companies must sell you a Medicare Supplement plan and cannot charge more even if you have pre-existing conditions. Rates Calculations For Medicare Supplement Plans In North Carolina? Base the premium on your age. The cost increases as you grow older. Base the premium on your age when you enroll. The Medicare Supplement plan rates do not increase based on your age. Issue-age policies are often more expensive than attained-age policies to start with, but they may become more cost-effective over time. Rates may increase because of external factors such as inflation. Charge the same premium for all policyholders regardless of age. Premiums will not increase as you age. Medicare Supplement plans in North Carolina are attained-age policies most of the time. However, community-rated and issue-age policies are available for most plans in NC. Covers everything that Original Medicare does not pay. With this plan, you have no out-of-pocket expenses. Also, there are no deductibles, coinsurance or excess charges. Is almost identical to Plan F, except it does not cover the Part B deductible. Does not pay the Part B deductible and requires a co-payment of $20 for office visits. It also does not pay Part B excess charges. You can use Medicare Supplement plans anywhere in the U.S. There are no provider networks. You can see a specialist without a referral as long as the provider accepts Medicare. This flexibility is one of the main reasons people choose Medigap coverage. If you move to another state, you may be able to keep the same plan. You will receive the same coverage in your new state, but the price for the same plan may be different in your new location. It can be confusing to sort out all the variables as you try to decide which Medicare Supplement plan best suits your needs. Speaking to an experienced agent can help. We offer a way to compare the various Medicare Supplement plans in North Carolina. You can start by using our online forms. Simply select your state from the drop-down menu and follow the prompts.